textbook, and chapter 3 of the Topological Picturebook. methods typical to each era. we will study contemporary college geometry in three modules. Eucid's geometry. We do not use the concept of distance and angle. on your class participation and homework. The  summative assessment  is an hourly test and the midterm. Only twice in our history does art significantly precede mathematics. by the student and approved by the instructor, completes the this module. all geometry derives from the study of transformation groups. Tondeur's text and most of Chapter 4 pertain to this module. This third module of the course will be evaluated by homework and an hourly. the culmination of this course. based on many different  ways you can demonstrate this mastery. on request. But such an estimate has, necessarily, a great margin of error. keep track of which theme a particular aspect of a lesson fits into. just which theme a particular example illustrates the best. You are weaving your own warp and the weft of the course as we proceed. of Alexandria at about +300. Only twice in the history of humanity did art preceed mathematics. 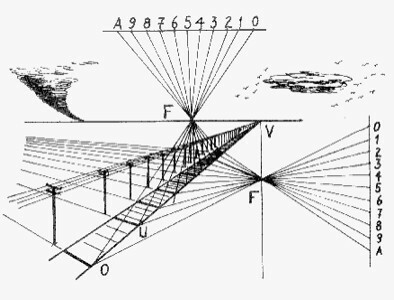 linear perspective which only later became projective geometry. Euclid's postulates themselves are altered or denied. the sister course to this one. replaces the axiomatic method of the Greeks. mathematical teaching and research, much as perspective did in the Renaissance.